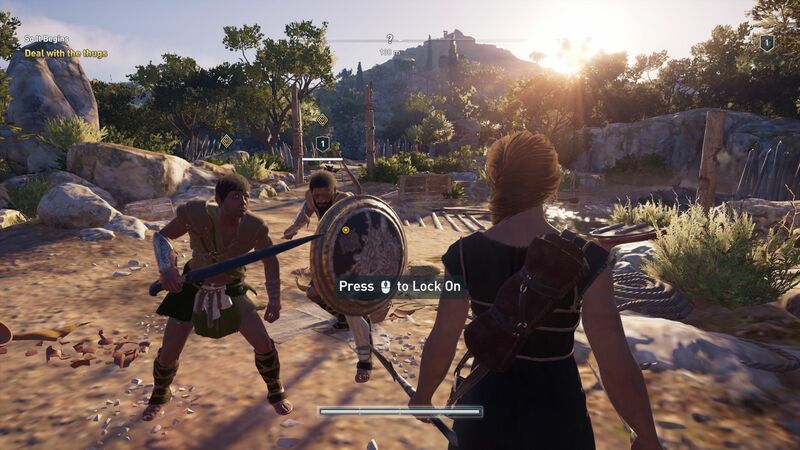 The CPU thirst of the ancient world. 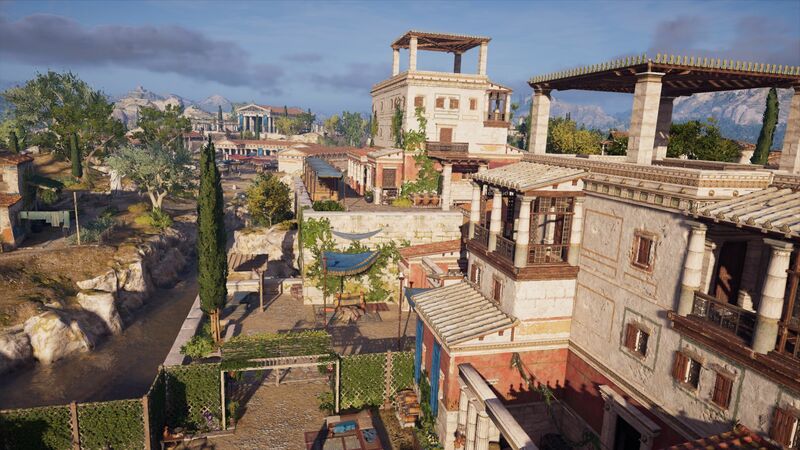 The new title in the Assassin’s Creed series takes players to Ancient Greece, after having been set in ancient Egypt in the series previous outing, Assassin’s Creed Origins. 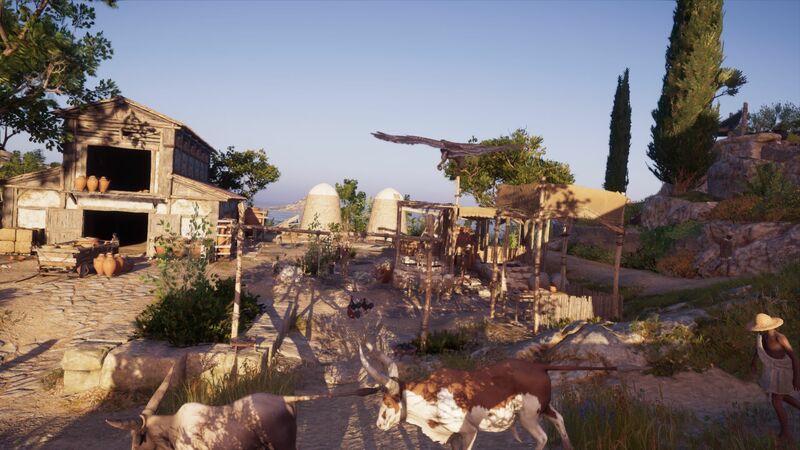 We will be testing the new game on numerous GPUs while assessing the extent to which hardware requirements and graphics options have changed. 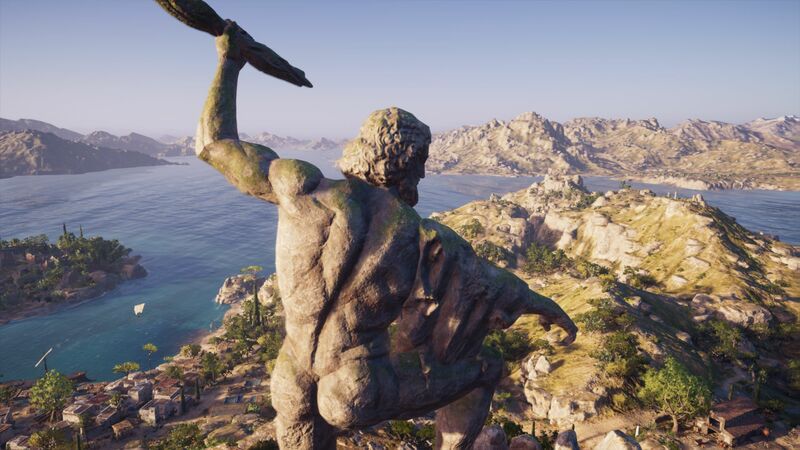 Fundamentally, Assassin’s Creed Odyssey is a good-looking game just like its predecessor. The extensive world has high-draw distances and a consistent art direction. The richness of detail in vegetation and the degree of texture sharpness is commendable too given the game’s huge size. 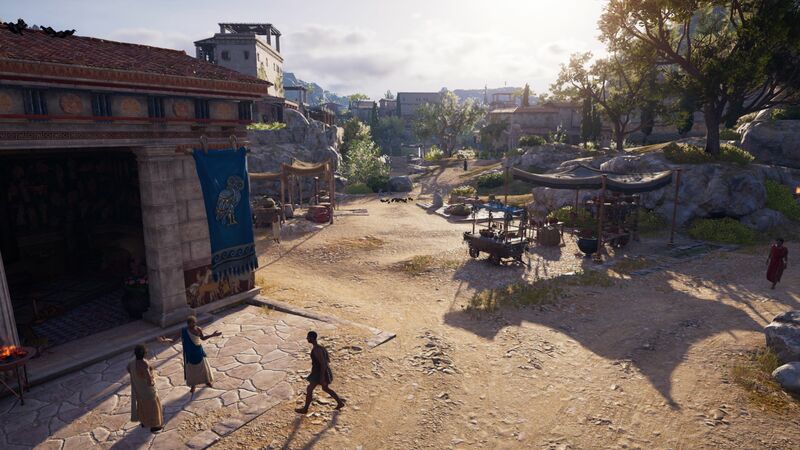 Moreover, the atmosphere lighting, the crisp shadows and the finely modeled characters all add to the game’s look and feel. 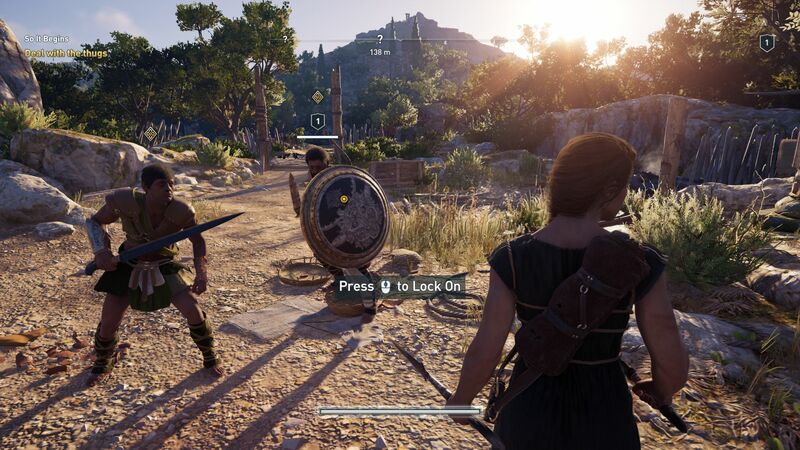 However, Assassin’s Creed Odyssey inherits its predecessor’s greatest shortcoming: high CPU demands. Our GPU rankings are CPU-dependent as the lower part of our benchmark section demonstrates, particularly the results for the Alienware 17 R4 with an Nvidia GeForce GTX 1080. 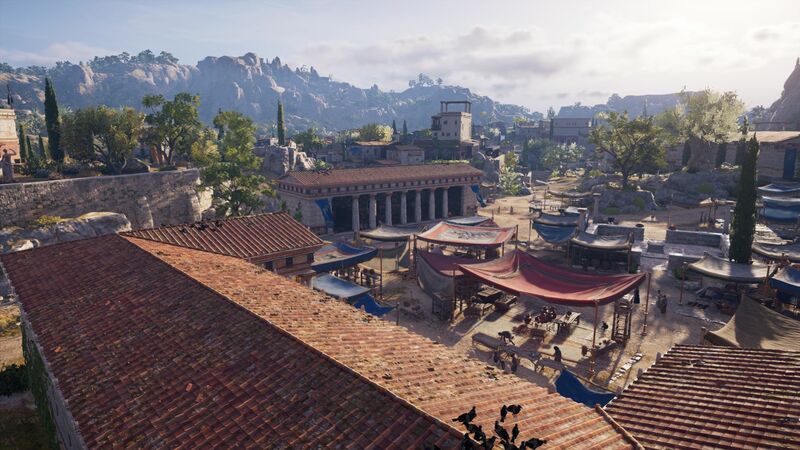 The game often hits CPU limits depending on what cooling system or processor is being used and what resolution or settings at which the game is being played. This degree of CPU dependency is unusual for 3D games and suggests that the game lacks proper PC optimization. We could only achieve higher than 100 FPS on a few systems even with graphics set to minimum. 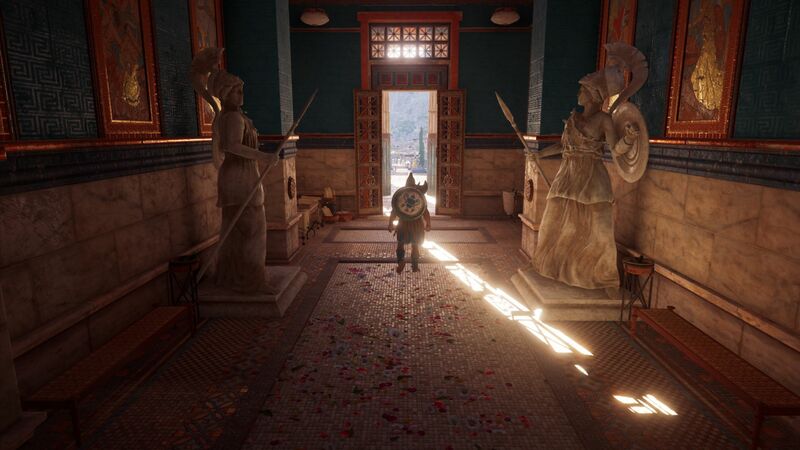 Unfortunately, little has improved from Assassin’s Creed Origins in this respect. We have no such criticism about the graphics menu though, which is first-class. 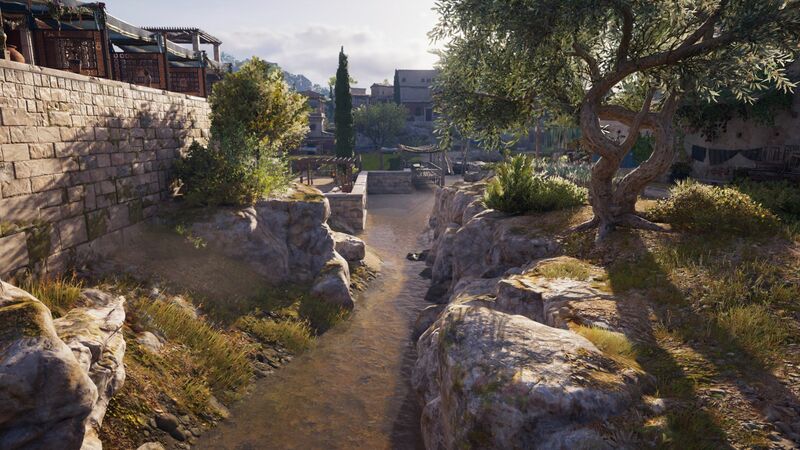 There are numerous options that are complemented by the same kind of explanations and imagery that we have seen in Origins and other Ubisoft games like Ghost Recon Wildlands or Far Cry 5. We did not test the HDR mode, but as far as we can tell all changes made within the Display tab take effect immediately without the need for a restart. 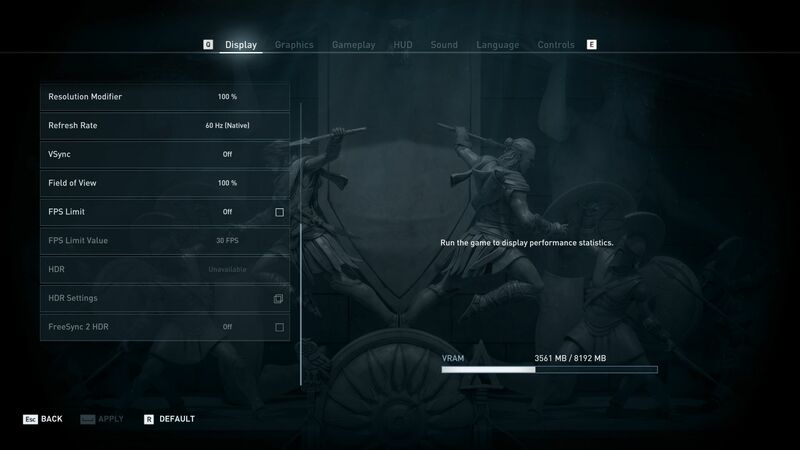 The game must be restarted though if Advanced Settings within the graphics menu are changed; this is not too annoying as the introductory videos can be skipped. Moreover, the load times could be shorter, particularly on HDDs. 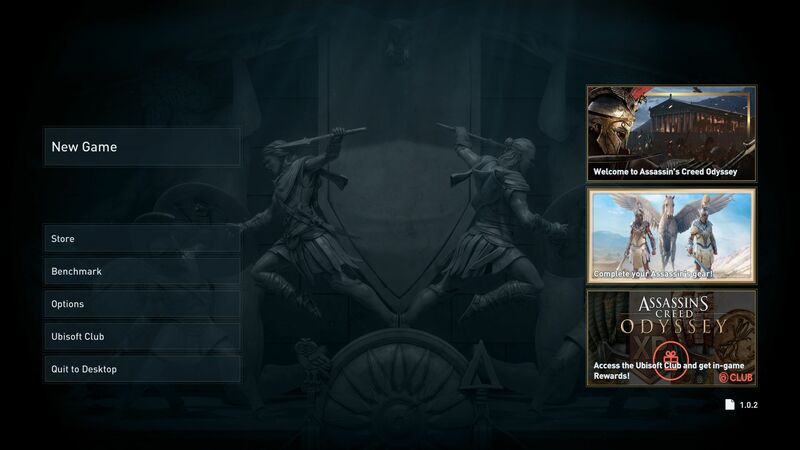 The game has 15 graphics options, but there are also five presets should you not want to tweak settings individually. Your system should have a powerful GPU on top of the CPU requirements that we mentioned earlier. 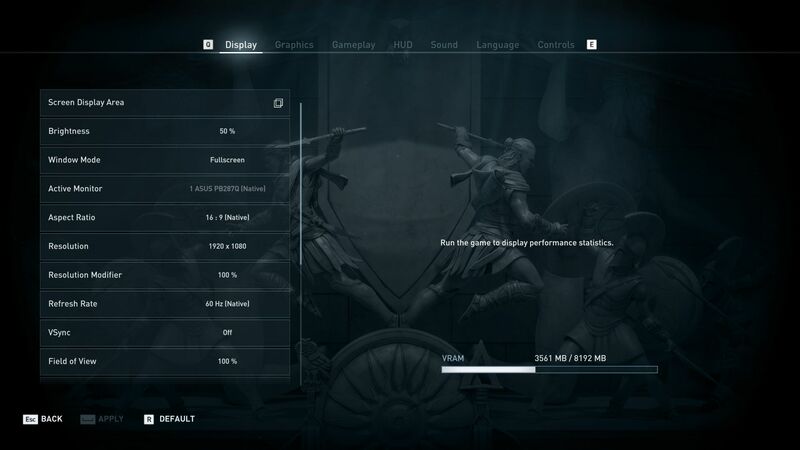 Assassin’s Creed Odyssey uses VRAM extensively at higher graphics levels and resolutions with around 3.5 GB of video memory required for playing the game at 1920x1080 with the graphics set to ultra-high. Likewise, you will need almost 5 GB to play the game at 3840x2160. However, the game occasionally struggles with stutters and low minimum frame rates regardless of the hardware being used. We have no idea why though. We must praise the developers of the built-in benchmark with its detailed statistics. The benchmark goes much further than the Ubisoft games of old like Rainbow Six Siege, For Honor and The Division, which had an automatic speed measurement that measured performance. By contrast, there is almost a one-minute camera flight through a settlement lined with rivers, trees and passers-by. 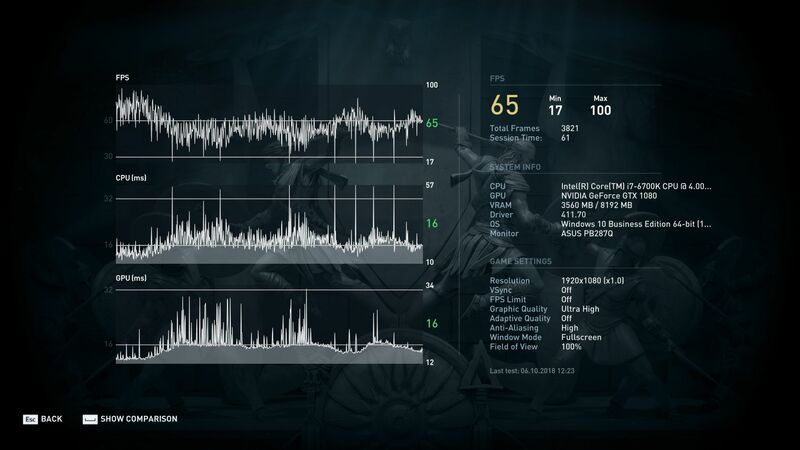 There are several graphs and sets of statistics displayed during the benchmark too. Additionally, there are detailed results at the end of the benchmark including charts, frame rate information, system information and settings. 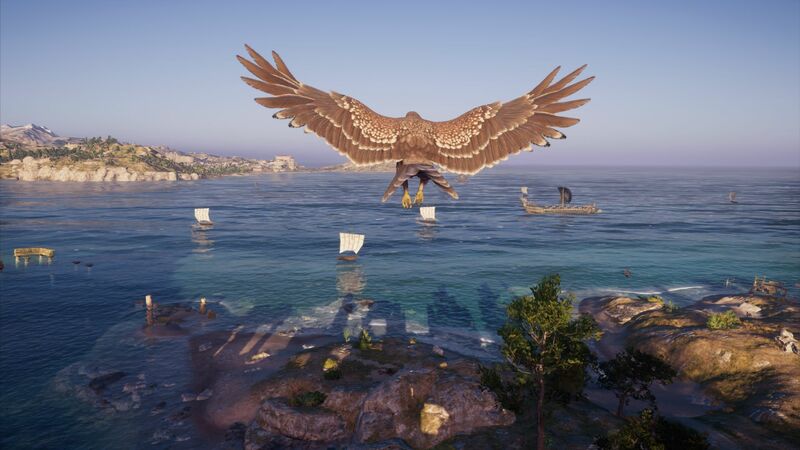 The game is playable from around 35 FPS but feels smooth at speeds beyond 50 FPS. 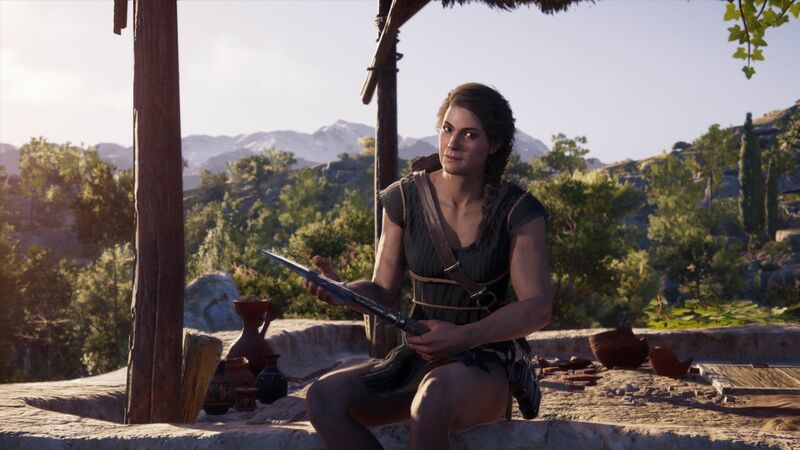 While desired frame rates are more of a personal preference, the third-person perspective means that the game runs okay at relatively low frame rates. 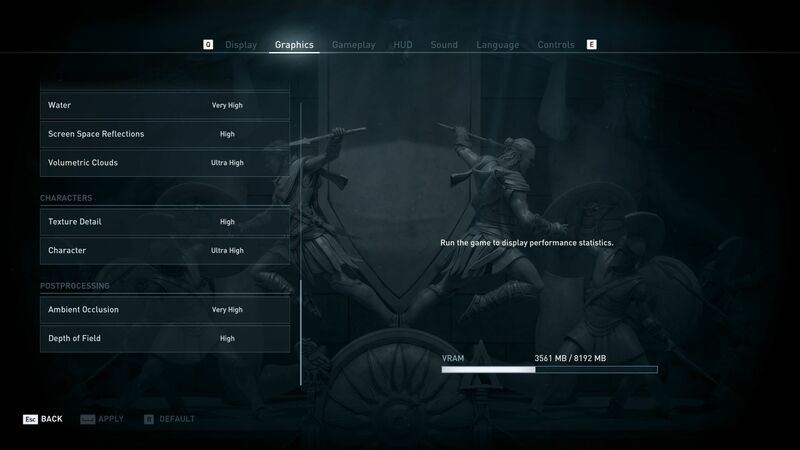 Office and cheaper multimedia notebooks cannot handle Assassin’s Creed Odyssey even at minimum settings. 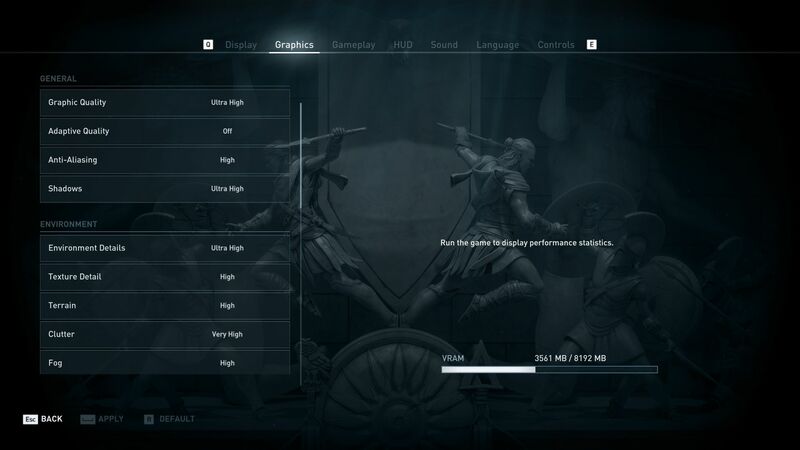 Integrated GPUs like the Intel HD Graphics 630 cannot achieve beyond 9 FPS with the game set to minimum graphics and 1280x720. 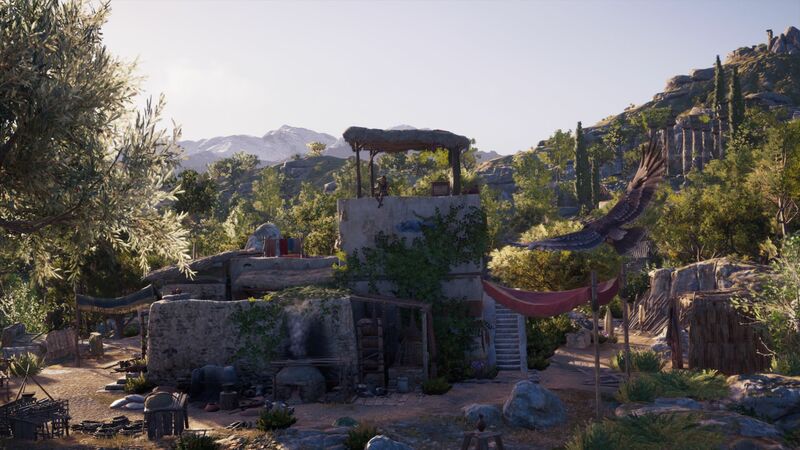 We would recommend using at least an Nvidia GeForce MX150 to play Assassin’s Creed Odyssey in HD. 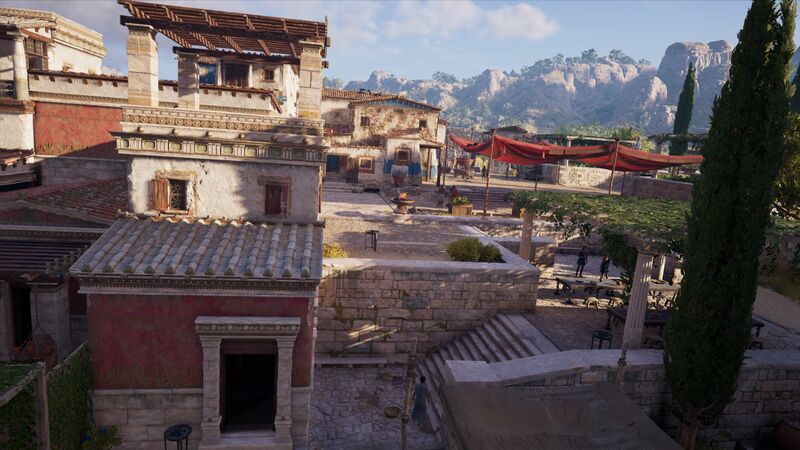 You will need a current mid-range GPU or an older high-end GPU to play the game in FHD, with ideally a minimum of a GeForce GTX 1050 to play the game in FHD with the graphics set to medium. Likewise, we would recommend using either a GeForce GTX 970M or a GTX 980M for playing in FHD at high graphics. 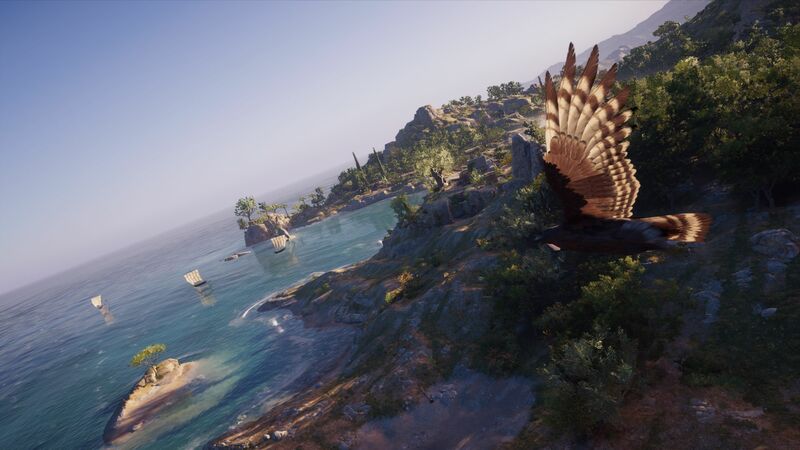 You will need to step up to a GTX 980 or GTX 1060 to play the game at maximum graphics. 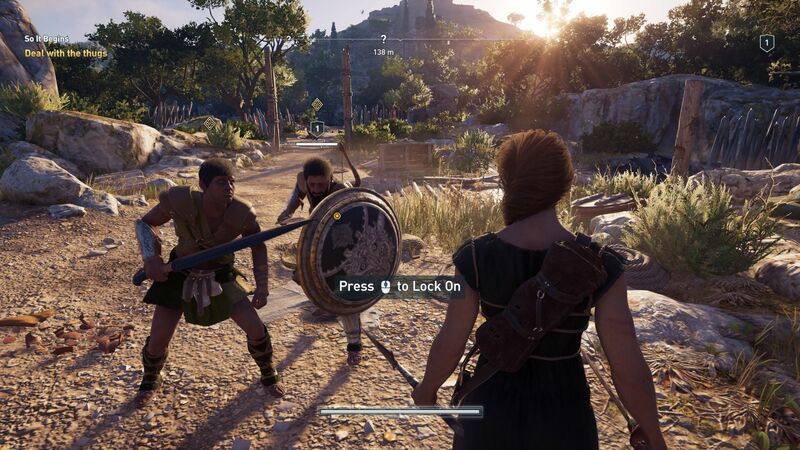 Playing Assassin’s Creed Odyssey in QHD or UHD is a demanding task. You will need at least a GeForce GTX 1070 or a GTX 1080 Max-Q to play the game in QHD with the graphics set to ultra-high. The hardware requirements for playing the game in UHD at ultra-high are absurd: Even a desktop GeForce GTX 1080 cannot achieve 35 FPS at these settings.